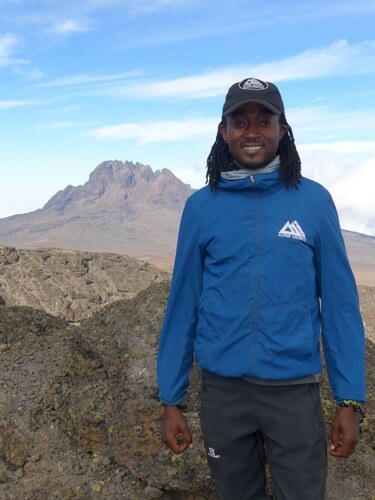 Daniel grew up in Arusha, Tanzania, and has been working as a mountain guide on Kilimanjaro since 2009. He has studied language, and tourism and currently speaks Swahili, English, Spanish and French. Additionally, Daniel is trained and certified in mountain first aid. Daniel enjoys teaching clients mountain skills, and educating them about the history of Tanzania. Daniel is known by clients for his smile, patience, strength, and easy going manner.